Carly Beth is quiet and shy -- easily scared and overly trusting. She's never seen such a great Halloween mask -- really scary, really creepy, and really life-like. She has to have it -- to scare those boys who tease and humiliate her all the time! And when she does get it, the mask is every bit as weirdly spooky as she had hoped it would be. But wearing the mask seems to be causing strange things to happen to her and other people. Can the mask -- the symbol of her revenge -- be the cause of it all? 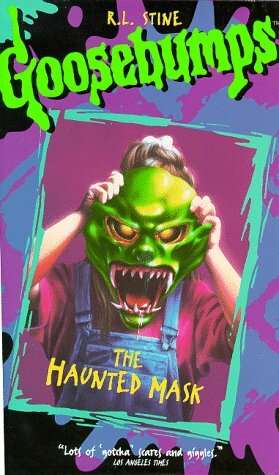 What strange powers could a Halloween mask have? Unwilling to give up the mask, or to believe that it could be evil, she keeps on wearing it -- only to discover one day that she can't take the mask off. Carly Beth and the mask have become one.